We have moved into the new facility. The Live Roof system was installed April 6. Curbs and the main sidewalk were completed in late April. Please excuse the inconvenience during construction and landscaping. We are now a public Wi-Fi Hotspot within the new centre. Visit construction page for site photos over the past year. Monday, May 09: The female Peregrine Falcon is sitting tight on the nest and the eggs have likely hatched. The nest is on the upper ledge of the huge cement support of the Ambassador Bridge and is visible from University Ave.
Tuesday, May 03: The centre feeders are attracting a great variety of birds including Rose-breasted Grosbeak, Baltimore Oriole, Purple Finch, House Finch, Pine Siskin, American Goldfinch, Tufted Titmouse, White-breasted Nuthatch, White-crowned and White-throated Sparrow, Black-capped Chickadee and Red-bellied Woodpecker. A walk through any of the wooded trails may reveal flocks of migrant warblers, vireos, thrushes, tanagers and other song birds. 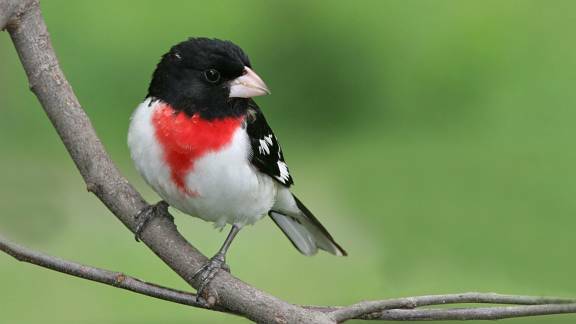 You can receive daily reports of bird sightings from across Ontario by subscribing to OntBirds. Other sources of recent sightings in the region can be found at eBird Canada.